On New Girl Season 7 Episode 8, the gang takes one last tour down memory lane, which also includes a final round of "True American" on the season finale. "The Curse of the Pirate Bride"
On New Girl Season 7 Episode 7, Jess and Nick end up making two life decisions that will change their live, while Winston and Aly's big day finally arrives. 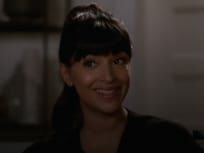 On New Girl Season 7 Epiode 6, Nick's plan to propose to Jess gets thrown off-course, while Schmidt goes back to work for the first time since Ruth's birth. 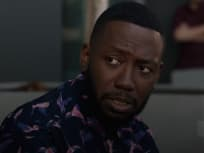 On New Girl Season 7 Episode 4, Jess discovers Coach owes Nick a large sum of money, as the gang gathers for a memorial service for a beloved friend. On New Girl Season 7 Episode 3, Jess tries to help Ruth prepare for her preschool interview, while Winston prepares to confront his fear of testifying in court. 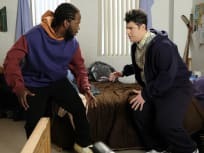 On New Girl Season 7 Episode 2, Jess and Cece stand up to Russell and demand Jess be given more responsibility, and Schmidt is desperate to get Ruth to sleep. 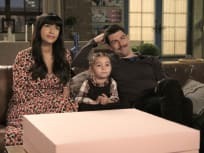 On New Girl Season 7 Episode 1, three years later, Schmidt and Cece celebrate their daughter Ruth's birthday with a party, where Jess runs into her ex. On New Girl Season 6 Episode 21, Cece and Schmidt get big news, while Jess believes the time is right to let Nick know how she feels about him. 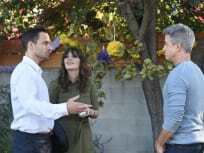 On New Girl Season 6 Episode 20, Jess and her father help one another with their love lives, NIck seeks advice from Ally, and Schmidt might use his first name.